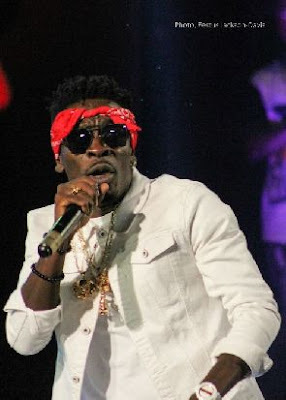 A lucky fan of Dancehall artiste, Shatta Wale will receive a brand-new car from the act on New Year’s Day. The car, a Toyota Camry, will be given to a diehard fan of the artiste as part of his way of showing appreciation to his aficionados. The ‘Mahama Paper’ hit singer will give out the car at the Tigo Festival of Lights and Music which kicks off on New Year’s Eve at the Junction Mall. The mall will come alive with fantastic music performances from top artistes are Ghanaians prepare to usher in 2017. Patrons will also be treated to a spectacular display of fireworks and lights at the event. Artistes billed to thrill revellers include Obaapa Christy, Cwesi Oteng and Shatta Wale. The event will start at 7pm and will see back to back performances from several gospel musicians until the countdown to the New Year. This will be followed by a well-coordinated and spectacular display of fireworks and lights. ‘Dancehall King’, Shatta Wale will take over the stage on New Year’s Day to thrill patrons to impressive catalogue of his hit songs. He will also present the car after that.